Sarra Manning has revealed her brand new book with Harper Collins and it’s an absolute stunner. The book is called ‘The Rise And Fall Of Becky Sharp’, with an exquisite cover and a modern take on the ‘Vanity Fair’ tale, this book is guaranteed to be a favourite of 2018. A hilarious contemporary retelling of the classic society novel, ‘Vanity Fair’ featuring the irrepressible Becky Sharp, this book sounds fabulous. 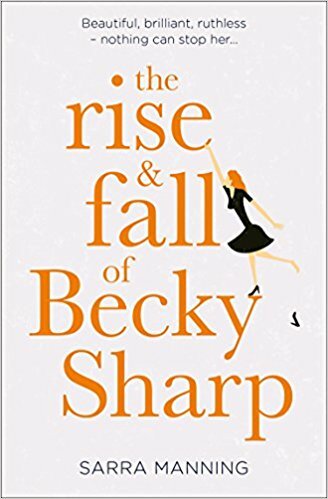 You can pre-order The Rise and Fall of Becky Sharp from Amazon and will be available to buy from good bookshops from 6th September 2018.